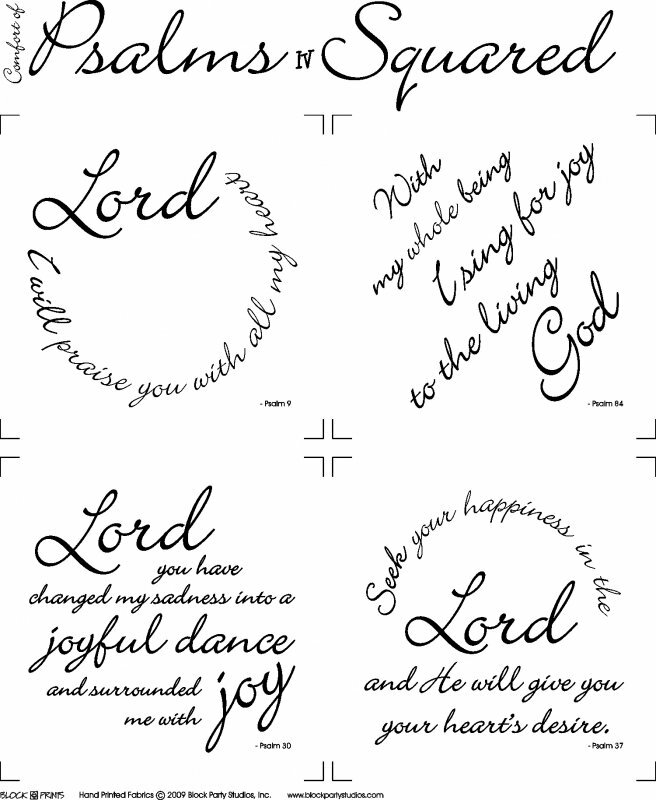 Fourth in our ever popular Comfort of Psalms series, Psalms Squared, features four scripture blocks finishing to 8" squares, hand printed in black print on natural or white 100" Kona cotton. Buy with Smorgasbord Pattern. Pillow Kit with panel also available.